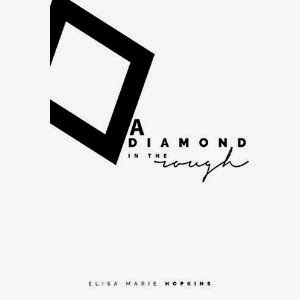 "A Diamond in the Rough," by Elisa Marie Hopkins, is a fresh romance novel with suspense and mystery elements that'll grab your interest in the beginning and build it to the very end. The main character is Sophia Cavall, a twenty-something model embedded in the world of fashion. However, her life is turned upside down when she receives death threats and is the victim of a kidnapping attempt. She finds herself with the handsome, enigmatic Oliver Black to thank. Hopkins does an excellent job pacing the story well with just the right balance of build-up and twists and turns. Sophia is a dynamic, interesting character, and it is fascinating reading how she deals with the tricky situations she faces. If you're looking for a fun new romance with mystery and suspense, I'd highly recommend "A Diamond in the Rough" to you.